Gene Davis’s painting Jasmine Jumper (1966) is a massive 119 1/2 by 161 1/2 inches. That means it gets special treatment when it goes off view. But most importantly, you need the proper socks. This entry was posted in Experiment Station and tagged behind the scenes, Gene Davis, permanent collection. Bookmark the permalink. The canvas is attached to the stretcher with staples. A length of cotton twill is placed between the canvas and the staple, which not only protects the canvas from the metal of the staple but also aids in removing the staples which come out, one after the other, with a tug of the twill. 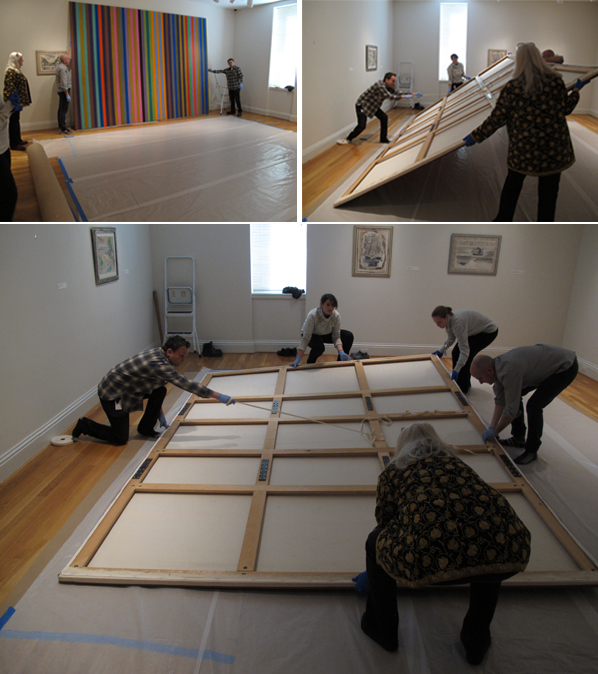 The painting is rolled in sheets of glassine onto a heavy cardboard tube and then it is all wrapped a soft plastic. The tube is suspended in storage so there are no points of pressure. 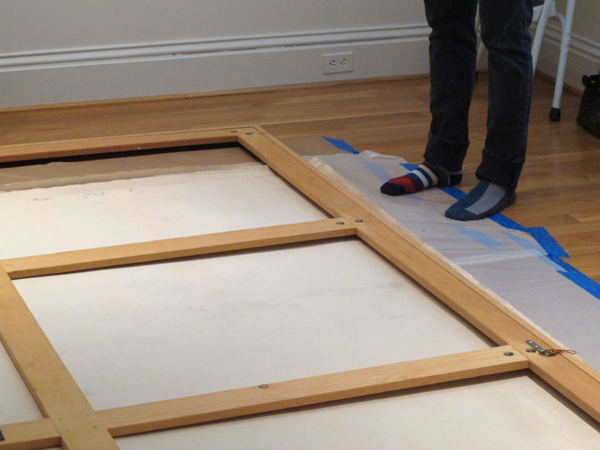 You may notice that the canvas gets rolled with the paint facing out and not in on itself to protect the painted surface.